Joachim Splichal is a celebrity chef based in Los Angeles, California. 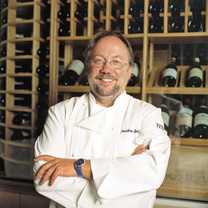 In 1991 he was declared “Best California Chef” by the James Beard Foundation. Four years later in 1995 he was inducted into their "Who's Who of Food & Beverage in America". 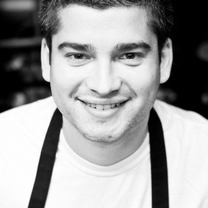 He is best known for his fine dining restaurant Patina located in the Walt Disney Concert Hall (formerly on Melrose Avenue), his chain of Pinot restaurants and the Patina Restaurant Group. "Delicious food in an amazing space"
"Great way to start the morning! #eggslut"
"Sea urchin clam pizza with parsley mousse and buffalo mozzarella. #lacma"
"Delicious dumplings! The best place to go for a quick bite. #huitouxiang"
"Thank you chef Paul! @danielnollinger"